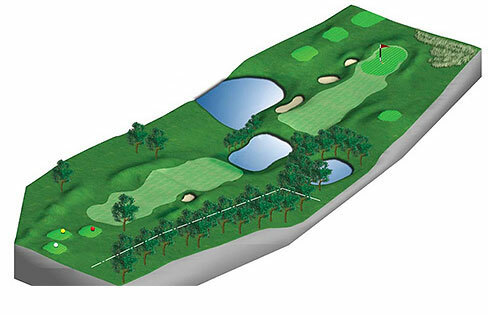 The back nine starts with a real tester 455 yards Par 4 where par often feels like a birdie. A good drive is required to find the lower level of a three tiered fairway; this makes the second shot over the lake, which divides the fairway, less daunting. The two tiered green is protected by two deep bunkers to the left.